I picked up Ian Plant’s latest release, Supercharge Your Vision – 9 Creative Missions for Visionary Photographers, a couple of weeks ago and have been meaning to sit down and write about it. One of the positives of traveling on business is being able to catch up on your reading when your sitting on an airplane and I was really looking forward to digging into Ian’s latest. As the title implies, Supercharge Your Vision, Ian Plant challenges the photographer with 9 well defined missions which are meant to have you try new techniques and and learn to see not just look at the scene in front of you. What I really like about these missions is that you don’t have to travel half way across the globe to do them. You can take up the challenge and achieve these missions (and along the journey improve your photography) just by stepping out your front door. Each mission is accompanied by at least 10 to 12 scenerios on how to achieve that specific mission….what to look for….how to best capture your image….tips on lighting and composition all accompanied by images that reflect the image complete with shooting data. This book will help you focus your creative energy and enhance your skills. You don’t need to buy any new gear. You don’t need to travel to exotic locals. You just need to open your mind and your eyes and your artistic vision will come to life. Supercharge Your Vision is currently on sale for $9.95. Click here to purchase your copy. Every year when I was in University there would be a poster sale that was held on campus at the beginning of each year. I remember in my first year purchasing 2 Eliot Porter posters, one was of Big Sur (it was a scene I stared at often and vowed to always go visit…I did) the other was a more intimate photographer of wildflowers. Just in case you don’t know Eliot Porter was an American Landscape photographer whose work will leave you breathless. Why am I telling all this…bear with me for a minute. A couple of years ago I was reading an Outdoor Photographer article on “intimate landscapes” and the writer used Eliot Porter’s work as an example of the beauty of the intimate landscape. It was about challenging yourself as a photographer who normally creates photographs of vast landscapes to stop and focus (excuse the play on words) or narrowing your field of vision to find the intimate details in nature. I knew that the Porter wildflower poster I had purchased was a wonderful example of that. When I learned that the team at Dreamscapes’ latest ebook release was titled “Beyond the Grand Landscape – A Guide to Photographing Nature’s Smaller Scenes” I knew I had to pick up a copy and read it. The book, written by authors and photographers Sarah Marino and Ron Coscorrosa, is a 172 page behemoth that covers everything from the principles of composition, abstract forms, repetition in nature to camera technique and processing. I’ve reviewed other books by Marino & Coscorrosa including Desert Paradise – A Guide to Death Valley and Forever Light – A Photographer’s Guide to Iceland and was impressed then as I am now by the thoroughness; knowledge and depth that goes into their ebooks. The first part of Beyond the Grand Landscape delves into the mind of the photographer, both from Marino’s perspective and Coscorrosa’s, of how to look for and see a smaller scene. They discuss topics such as visualization and the role of familiarity of scene and take it one step further by interviewing and including the work of other renowned photographers such as Greg Russell and Justin Reznick and allowing the reader to gain yet another perspective on the topic. Throughout the book the authors share their portfolio of images with detailed explanation of settings, equipment and processing. Different types of small scenes that can be photography subjects. Twelve key creative concepts and field practices used to discover and photograph small scenes. Exercises to facilitate your learning and application of the ebook’s concepts. Field techniques for macro, flowers, foliage, and abstract photographs. Foundations of photographic composition and technical fundamentals. Enhancing effects of light, weather and atmospheric conditions. Value of mood and how it establishes an emotional connection to your viewer. Beyond the Grand Landscape can be purchased for $19.95 at the Dreamscapes store. Just click here to purchase or you can also download a free sample. Aside from spending the weekend getting ready for Passover (and that constituted spending lot of time in the kitchen) I was able to kick back a little bit and catch up on some reading. Last week I download 3 new photography books to my iPad and I finally found some time to read them. 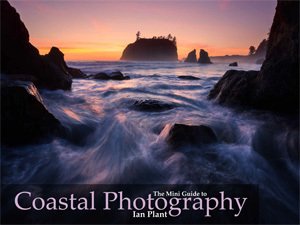 Ian Plant has just released 3 new mini-guides…. 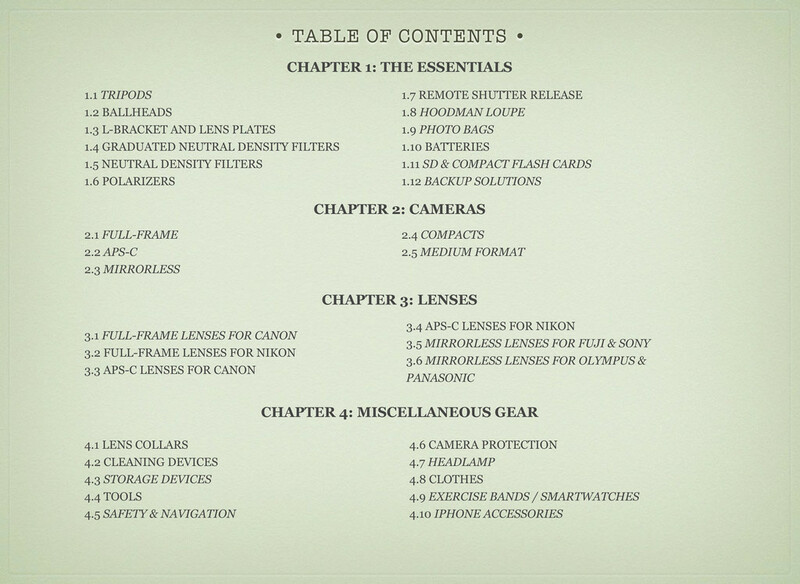 These bite sized guides are the perfect companions when you’re planning your shoots or to have with you when you’re out on a shoot. 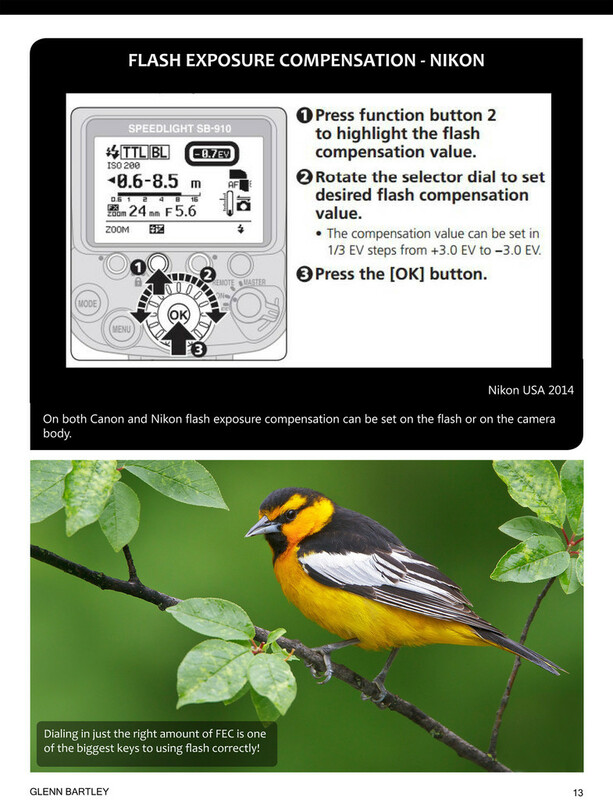 Ian Plant’s has kept these simple and to the point with the information you need to know to get the shot. Each guide is 20 pages, they are concise and Ian has included all the tips that you need to get stunning photographers in these locations. From timing and composition, shooting angles and location specific tips, these guides are indispensable. Each guide is priced at $4.95 but you can purchase all 3 for $12.95. In addition Dreamscapes is having a Spring sale until the end of April. Simply use the discount code SPRING and you can save 15% of all purchases in the Dreamscapes eStore. You can click here to go to the Dreamscape store.